Immersion Packs aren’t full blown expansions. These are smaller DLCs that focus on adding a bit more uniqueness and flavour to a particular nation or a group of nations. The last immersion pack Paradox Interactive released for EU4 was Rule Britannia which added a whole bunch of new missions for the British nations as well as new events such as the Industrial Revolution. Rule Britannia is priced at USD$9.99 which may likely be the price point of the upcoming immersion pack (or it might not. It’s a speculation). 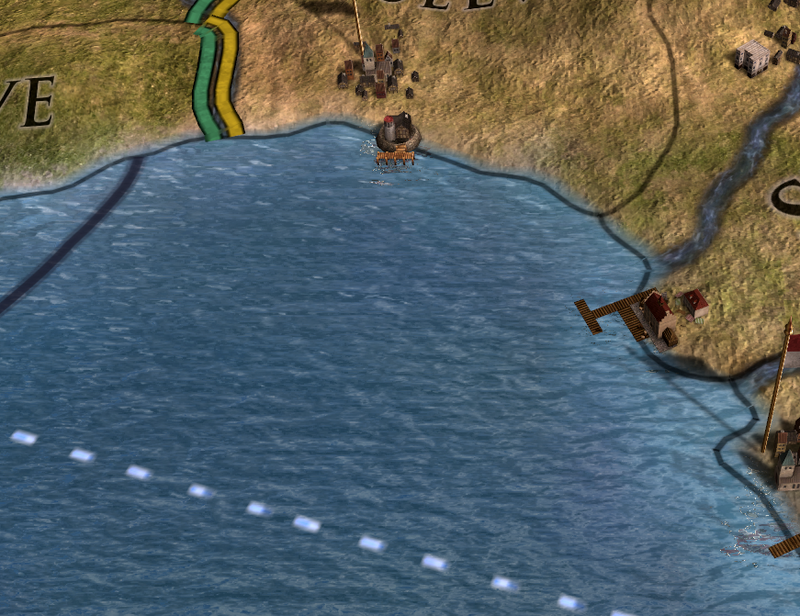 Some Paradox forum members with a keen eye discovered that this is a region to the South of the Iberian peninsular close to the border of Portugal and Castile. Which led to speculation that the immersion pack will be focused on the Iberian peninsular or one of the nations in the Iberian peninsular. My bet’s on the nations in the Iberian peninsular. Of course Paradox Interactive hasn’t come out to confirm that the guess was a correct one, so take it with a pinch of salt. It’s worth mentioning that the file name of the hint posted was ‘life is peaceful there’ which could mean some new peace event or nothing. Information is sketchy at the moment as the team has just begun working on this DLC. Expect to hear more about it at a later date. If you’re interested in playing a nation in the Indian sub continent, you can get the latest expansion Dharma for USD$19.99 here from Fanatical. If you’re not sure if you’ll like Europa Universalis IV or are thinking about getting into a Paradox game, definitely check out my guide on the best Paradox Grand Strategy Game for a Beginner. DISCLAIMER: This post includes an affiliate link to Fanatical. If you make a purchase from that link, we earn a small commission that goes to maintenance of this site.